Have you heard about Concrete Blonde? It's a funky little bar and restaurant tucked away on Bayswater Road in Sydney's Kings Cross. 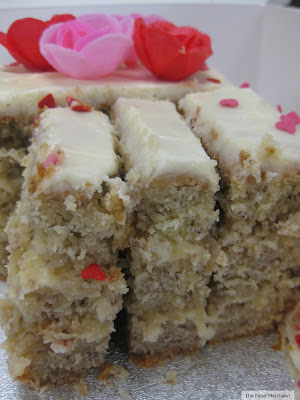 I was lucky enough to sample some of their delicious food a few weeks ago. 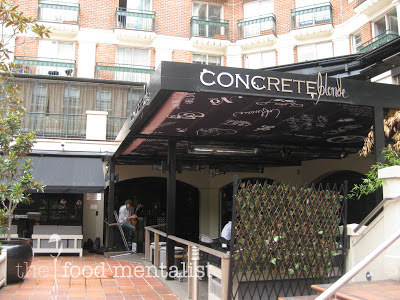 I was impressed by the fantastic cocktail menu and every Sunday guests can choose to enjoy either a two ($40) or three ($48) course lunch whilst enjoying some cool jazz tunes. 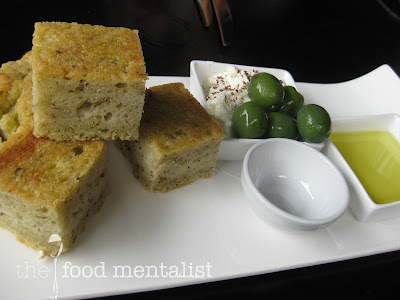 To start we shared some toasted focaccia which came served with buttery green olives and some fresh ricotta. For my first course, I chose the vegetarian option of goats curd wrapped in zucchini, served with crisp zucchini flowers, pesto and a tomato confit. When I see goats curd on a menu I must try it, I simply love the stuff! 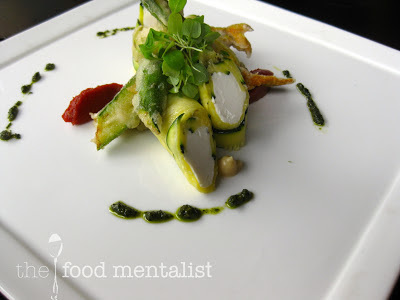 The flavours of this dish matched the lovely presentation and I really enjoyed the different textures of the zucchini. 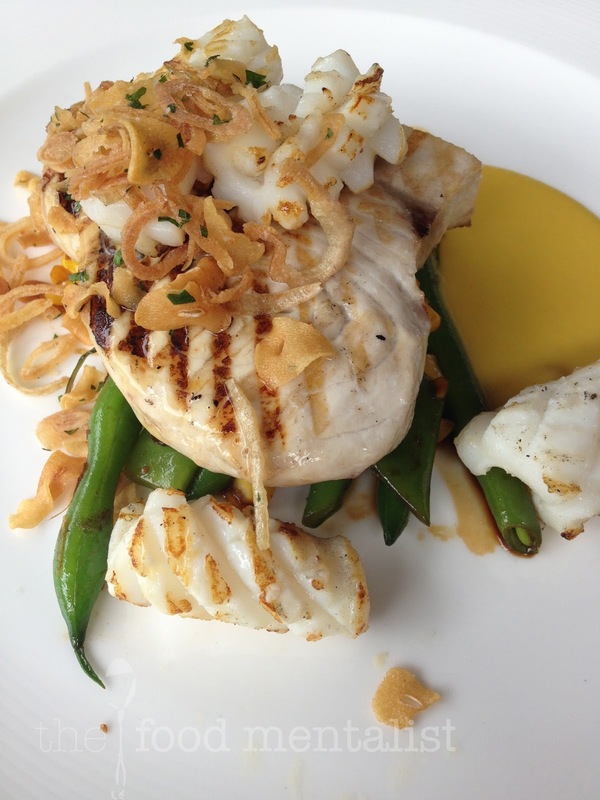 Next, I chose the swordfish which was served with a sweet corn puree, calamari and green beans. This dish was indeed a highlight. The fish was cooked to my liking and the balance of sweetness offered by the crispy garlic and sweet corn puree worked really well with the perfectly seasoned fish and the crisp green beans. Hello sides! 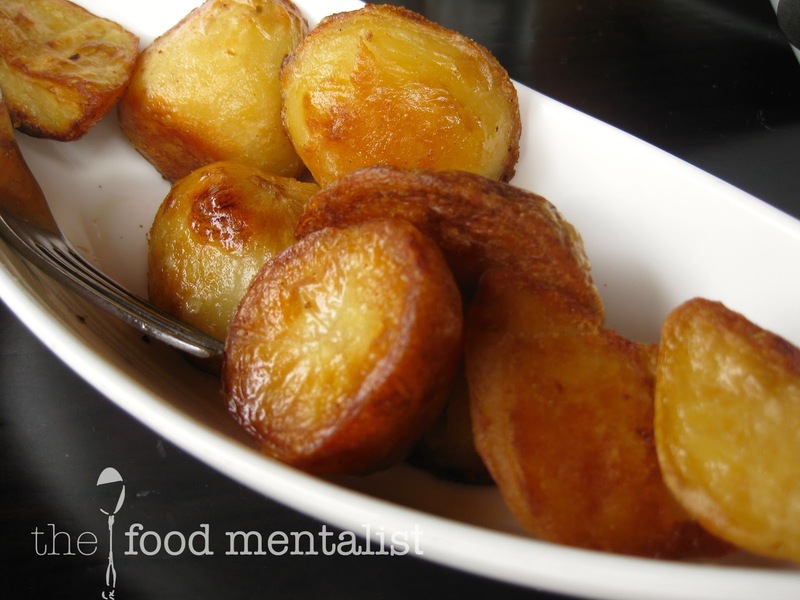 These potatoes would have to be the best crispy baked potatoes I have tried in a long long time. Well, if you are wondering how I managed to fit another thing in, don't worry - I was good. 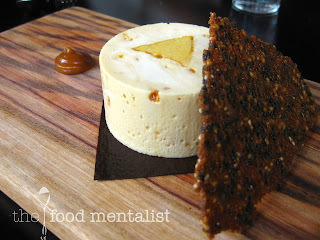 I actually shared my dessert with someone ( even though I could easily have eaten it all myself) This white chocolate & honeycomb parfait was served with a shard of crisp sesame brittle and a dollop of dulce leche and it was divine! Lichtenstein fans will also be impressed by the inspired tile-wall art on the way to the facilities. I was thoroughly impressed by this little hidden gem and intend on visiting again soon. It's the perfect place for a chilled out Sunday afternoon. 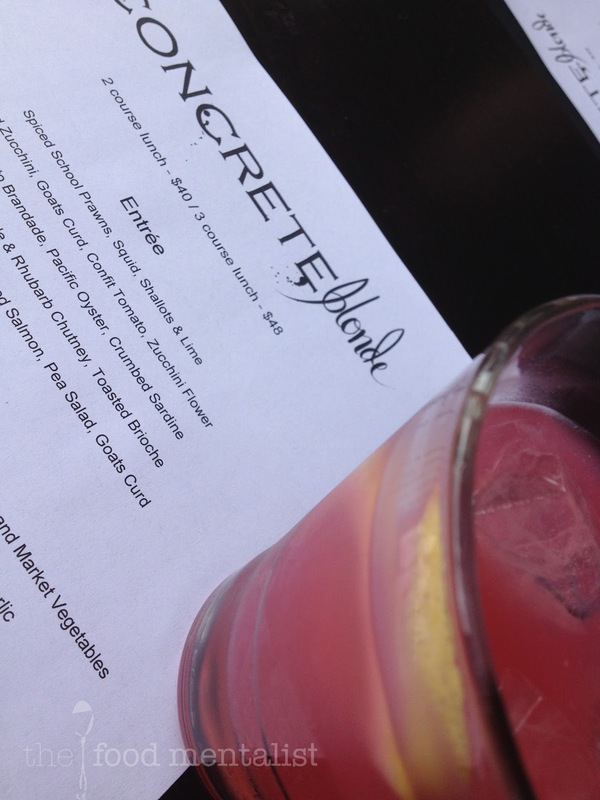 Check out Concrete Blonde on Twitter, Facebook or via their website here for their latest specials and news. The Food Mentalist dined as a guest of Concrete Blonde. I know we shared the dessert - but I definitely could have eaten the whole thing myself ;) I'm quite sure I ate most of it anyway! Ally, it was great meeting you and am happy to share dessert with you anytime! 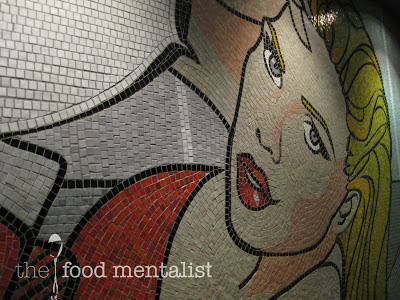 The tile wall looks great.